Installation of fire sprinklers in commercial and residential structures, retrofit and new construction. P & L Fire has an experienced crew of pipe fitters and journeymen that will ensure systems are installed per approved drawings and specifications while coordinating with other trades at the job site. Our crews are experienced in new construction as well as retrofit projects. P & L Fire has NICET Certified Technicians and Fire Protection Engineering Technologies using the latest tools to design any type of water based Fire Protection Systems. Our Design Department will take your project from conceptual stage to the final product, that includes system analysis and design, hydraulic calculations, obtaining approvals from Authority having Jurisdiction, Owners Insurance, Architect, and/or Engineer of record. P & L Fire has a NICET Certified Inspector who can visit your property and make sure your Fire Protection is in working order. 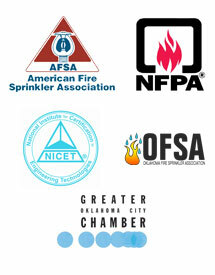 Let us help you keep your fire sprinkler system in working order. We provide maintenance services for fire sprinkler systems. P & L Fire Protection has its own fabrication shop staffed with certified welders and experienced personnel to provide you with quality products and service. Having our own shop allows us to work on your project as soon as you need it, without waiting for other customers, as it would for outsourced fabrication services. 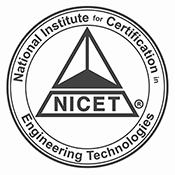 Experienced NICET Certified Technicians and Fire Protection Engineering Technologist can assist you on any fire protection project, from concept and preliminary work, such as hydrant flow tests, to complete set of plans and specifications. P & L offers 24 hour emergency service. Anytime you need your fire protection system serviced, contact us for immediate response. Contact us for more information on any of our fire protection services or products.